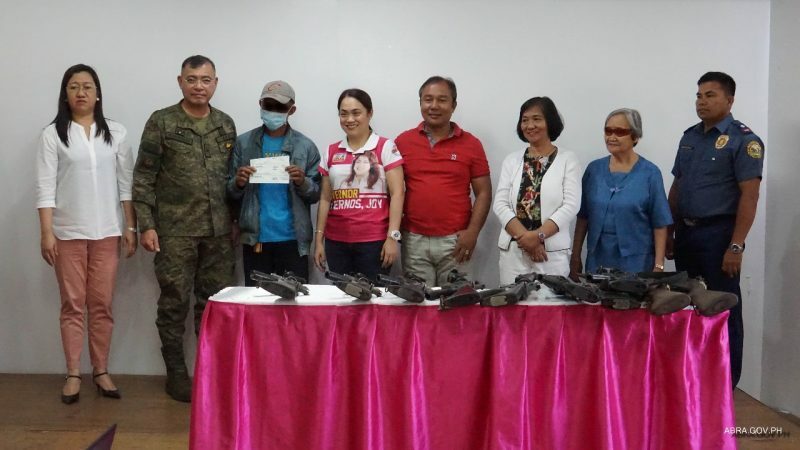 Seven former rebels from Dolores, Lacub, Tubo, and Sallapadan surrendered and availed the benefits of the Enhanced Comprehensive Local Integration Program (E-CLIP). 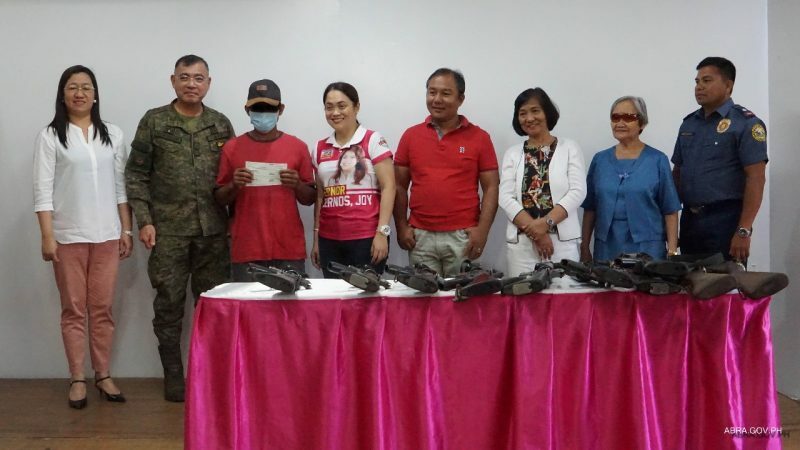 Each rebel returnee received checks ranging from P15,000 to P480,000 which totals to P1,035,000 as immediate and livelihood assistance. 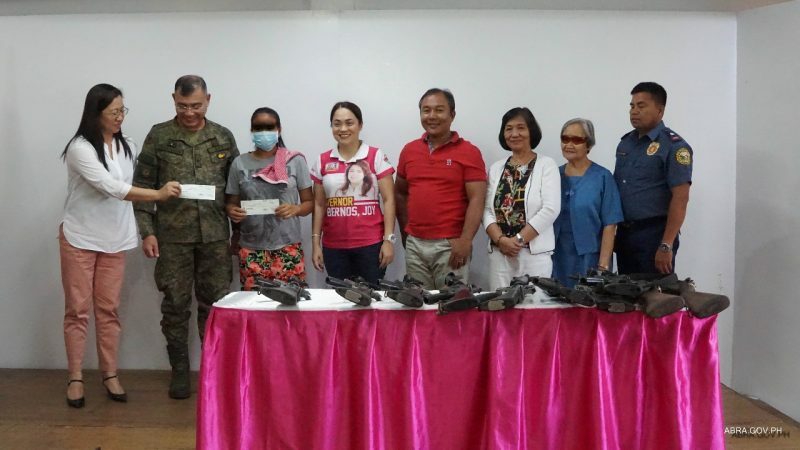 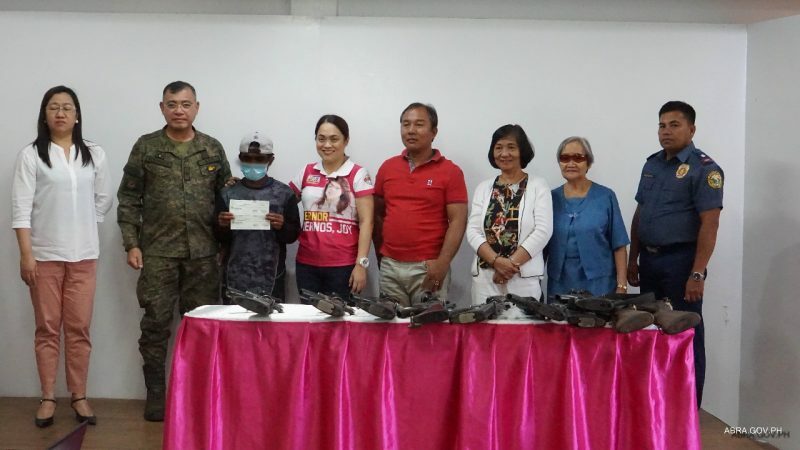 Governor Joy V. Bernos and 702nd Brigade Commander Henry A. Robinson Jr. handed over the checks during the Provincial Peace and Order Council and Provincial Anti-Drug Abuse Council joint meeting on March 29, 2019, at the Provincial Capitol Social Hall. 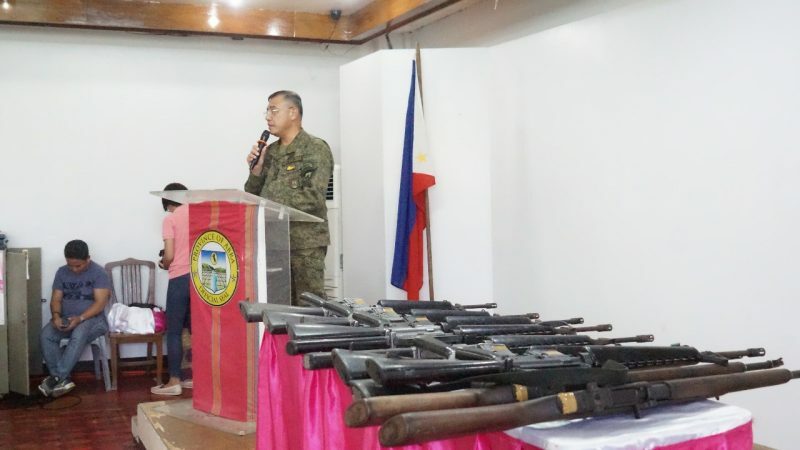 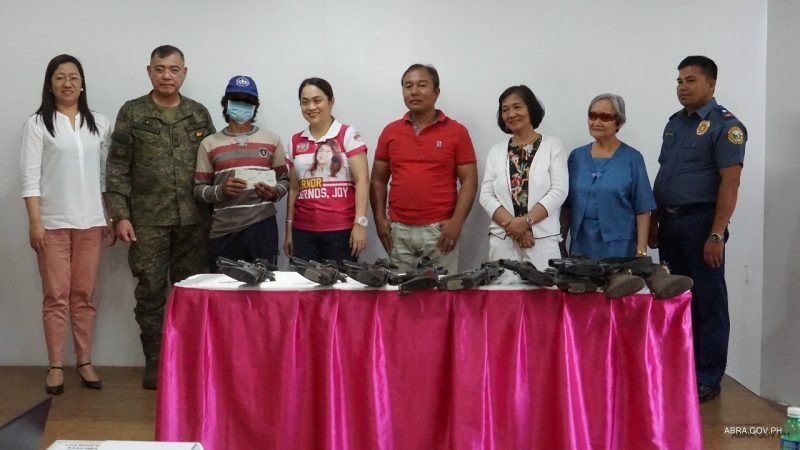 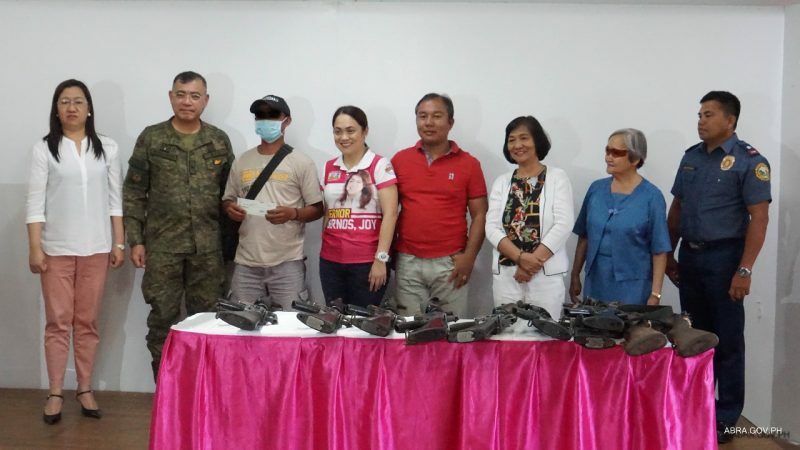 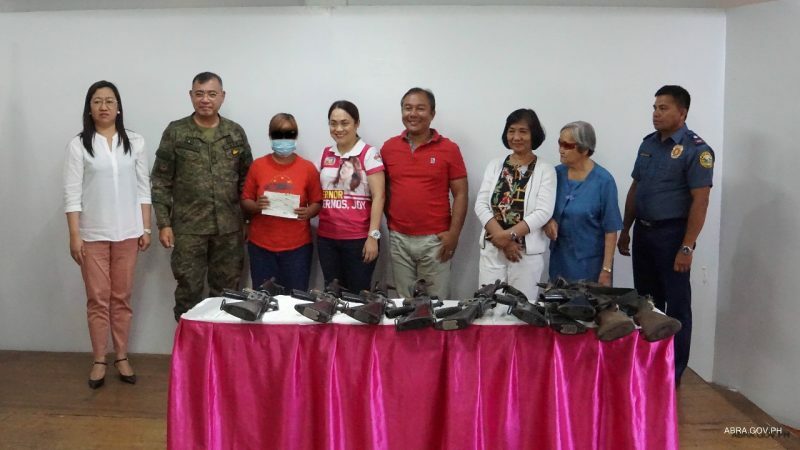 These former rebels came back to the mainstream and surrendered firearms through the joint efforts of the provincial and local government, the 24th Infantry Wildcat Battalion of Philippine Army, PNP-Abra, and the Department of Interior and Local Government (DILG)-Abra. 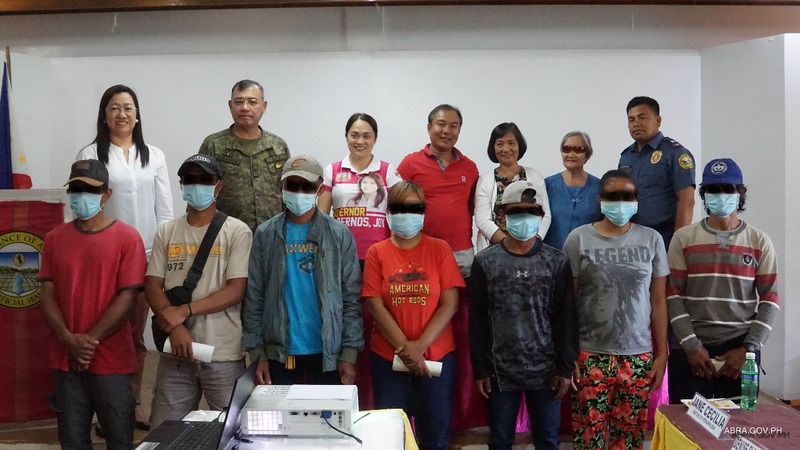 E-CLIP is a national program by DILG in collaboration with the provincial and local government, the Philippine Army, and PNP to achieve permanent and peaceful closure of all armed conflicts with non-state armed groups.